Some things get better with age. When it comes to a storage company, looking for experience and reliability should be your top concerns. 5A Rent-A-Space is proud to be celebrating 45 years of providing high quality storage solutions to customers near San Mateo. After so many years of dedicated service, we have come to learn a number of tips and techniques about efficient ways to store your belongings. Whether this is your first storage unit rental or you are a veteran of transporting and arranging your items in your unit, we would be happy to share our expertise with you. Read below for our top 10 tips to make storing your goods as easy as possible. Rent the Right Size Space – Speak with our seasoned experts to determine the size of the storage unit you will need. Many people assume they can squeeze items into a standard unit, but have an unpleasant surprise when it comes time to load your unit. Not sure how your stuff will fit? Use our easy “Space Calculator” to get an estimate. Don’t rent too much either; if you can see all the walls in your unit, you probably have one that is too large and you’re paying too much for extra, unused space. Clean Your Belongings – Personal items of all kinds can hold onto dirt, moisture, and odors. Thoroughly clean and check your items before putting them into a storage unit for months. You want to be greeted by your old stuff, not a new smell, when you retrieve your goods. Prepare for Environmental Fluctuations – You also need to think about the items you are storing. Are precious family photos going to warp during the humid summer? Will your record player still work if it sits in the cold? Be thoughtful about what you store and prepare the items accordingly to minimize damage and disappointment. Ask your storage counselors questions; they can be a great source of information on the best ways to store an item for its protection and longevity. Focus on Time - The duration of your storage unit rental will be determined by your needs. If you are moving, a short term rental space is likely suitable. If extra space is the goal, a long-term rental may be appropriate. Speak with the team at 5A Rent-A-Space to find a unit that is affordable and appropriate for your required timeframe. Consider Moving Day – Before you move, make sure every box is clearly labeled with its contents. Nothing is more disconcerting than a blank box that you have to actually unload to find out what’s inside. If you are moving, a short term rental can work. You will want to give clear directions to your moving van or truck so they will be able to find the storage facility. It's a wise idea to meet the moving van at the storage facility and direct how they load your items into the unit. You know what you’ll need and what can be stored for awhile, choosing carefully what you store in your unit vs. what you will need early on as you move into your home. Necessities and items you want to unpack first will be better kept at the front of your unit. Label – It might seem like a small number of items when you pack and store them, but months later, it can be tough to remember what you put where. This is especially important for smaller items in boxes. Use intuitive labels to make finding things easy. Think Next Season – Packing in the summer pool toys may be a breeze, but bulky snow blowers may present new challenges. If you are looking for seasonal storage, be sure to think ahead and keep in mind all the items you want to store. Get Insured – Regardless of the particulars of your storage situation, insurance is a wise decision. While the belongings may not have a lot of individual value, the combined value is always worth insuring. Check your current homeowner’s policy for information about items in storage or in transit. Our storage facility carries a very good policy if you don’t have a homeowner’s policy that covers storage. Elevate – Use pallets to keep your belongings off the ground. Dust, debris, or in extreme weather, even water may make its way into your unit, so keeping your items above the ground adds an extra level of protection. Wrap Your Belongings – Using bubble wrap and other protective coverings will give an added level of assurance against breakage for dishes, electronics and fragile items. Industrial plastic is ideal for wrapping your boxed belongings. Insects, dust, and moisture will have a harder time getting at your goods if they are tightly sealed. Ask the staff at your storage facility for a list of quality packing and storing supplies. There are even compartmentalized boxes and unique sized boxes for specialized packing purposes. 5A Rent-A-Space is happy to have provided residents of San Mateo, CA and surrounding areas with storage solutions for over 45 years, and are proud to continue to do so! Read our FAQs for more useful tips or contact us today to discuss your storage requirements. 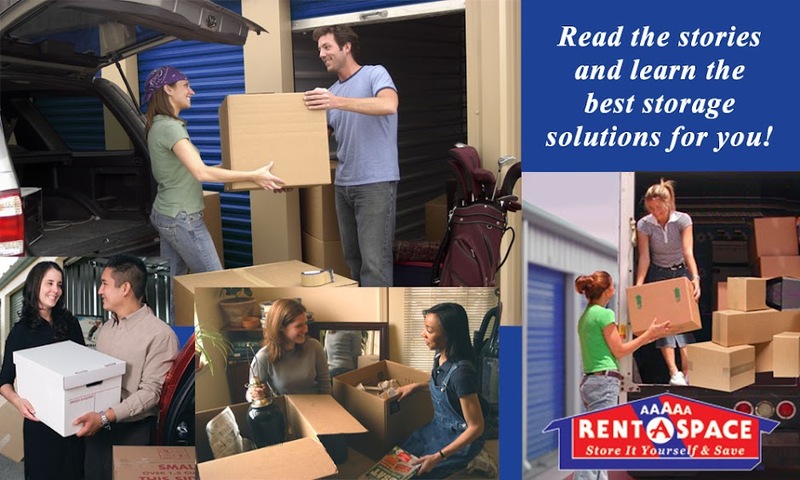 Rent your storage unit from 5A Rent-A-Space by calling (650) 338-0016 today. You can also reserve your unit online now to ensure you have the space you need.